The Tibetans, unlike the Arab-backed Palestinians, could not mobilise international support or conduct protracted guerrilla or terrorist warfare, even had they wanted to. THE intimate and complex relationship between India, China and Tibet has become international with globalisation. In the wake of the pre-Olympic and 60th anniversary of the takeover of Tibet unrest, talks between the Dalai Lama’s envoys and Beijing’s United Front Work Department euphemistically referred to as ‘negotiations’, have assumed a heightened importance for many. Claude Arpi’s book (Dharamsala and Beijing – The Negotiations that never were, Lancer’s New Delhi 2009) is meant to disabuse wishful thinkers of their unrealistic beliefs that ‘something useful is going on’ and raises questions as to why the world and the dramatis personae themselves continue with this somewhat farcical and unsubstantial exercise. Although the absorption of Tibet into China since 1950 has been copiously discussed from different angles, there is a dearth of understanding about the regional politics surrounding the “roof of the world”. Since time immemorial, Tibet’s fate has been intertwined with that of its two giant neighbors, China and India. French scholar Claude Arpi’s new book teases out the complex workings of this triangle and throws light on how Indian idealism came a cropper against Chinese realpolitik. Any person with a little sense can tell that Tibet is not China and that the Tibetans are not Chinese, even in the federal sense of the term. The Tibetans have their own culture, language, way of live and ethnicity and, yet, due to a series of international diplomatic faux pas, it is a country that faces demographic liquidation through Han Chinese migration. Claude Arpi tells the sad story of how Tibet came to lose its independence. Well, this mystic landmass (and its exiled people) is a still-bleeding wound on mother earth, but its charm is such that it inspires not just Tibetians but people across the globe to clamour for its return to independence. At a time like this, it is quite interesting to learn about the discovery of this ancient land; of the first people from the known world who set foot here and discovered this magical and snowy piece of land and the mystic culture of its people. Claude Arpi, French-born author and journalist who lives in Auroville, was in Chennai, promoting his latest book ‘Tibet: The Lost Frontier’. Arpi shed light on various scarcely-known, fascinating aspects of Tibet at the University of Madras, where the event was hosted. It was an occasion graced by young Tibetian students splashed with ‘Free Tibet’ badges, and Indians who have a soft corner for this snowy, magical land. 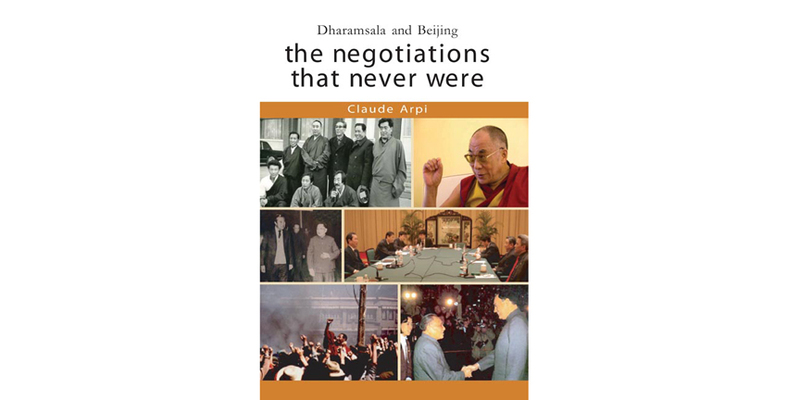 Claude Arpi is an Auroville-based French scholar with an abiding interest in Tibetan history and culture. 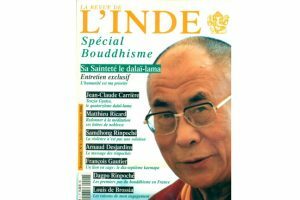 His knowledge of source materials combined with his extensive contacts with high Tibetan officials including the Dalai Lama allow him to write on Tibet and the India-China relations from a perspective that is not available in other works. Tibet: The Lost Frontier is an invaluable work on Tibet and its role in India-China relations. It supplements and extends his earlier work The Fate of Tibet published in 1999. These are excerpts from a new book by Claude Arpi, Tibet: the Lost Frontier. The book, just released by Lancer Publishers, goes into the details of what Arpi, a scholar on Tibet, calls the ‘fateful year, 1950, bringing out unknown facts on what went wrong with Tibet, and how the world remained a silent spectator to Tibet’s capture by China. Special feature with book review, excerpts, slide-show and interview. Tibet: The Lost Frontier contains in-depth account of Indo-China relations, exclusively obtained from the Indian government’s archives. Such diligent effort from the author’s side makes this book very interesting and different from others. More so, Arpi touches hard on Indo-China border issue, which people tend to avoid because of its sensitivity. Arpi suggested that the Indian government should take appropriate steps in building constructive infrastructure in Arunachal Pradesh to prevent any further claims by China. Most importantly, I absolutely agree with Arpi that history and current situation of the Roof of the World, India, and China would be very different if the three nations had tried to settle the territorial disputes in 1950 with good intentions. I truly believe he had made this reasonable recommendation based on knowledge that he gained throughout his career. Thus, I, without doubt, recommend everyone to read this book, which unfolds the events that make up the current political and territorial status of Asia’s three richest civilizations. Book Review of Born in Sin: The Pancheel Agreement by Dhundup Gyalpo in The Tibetan Bulletin. Panchsheel was independent India’s greatest moment of humiliation by Swapan Dasgupta in The Statesman.